CITY of Plymouth hurdlers David King and Jade Simson both enjoyed encouraging starts to 2017 at the Welsh Indoor Athletics Championships in Cardiff on Sunday. Great Britain international King finished third in a top international men’s 60m hurdles field at Cyncoed. 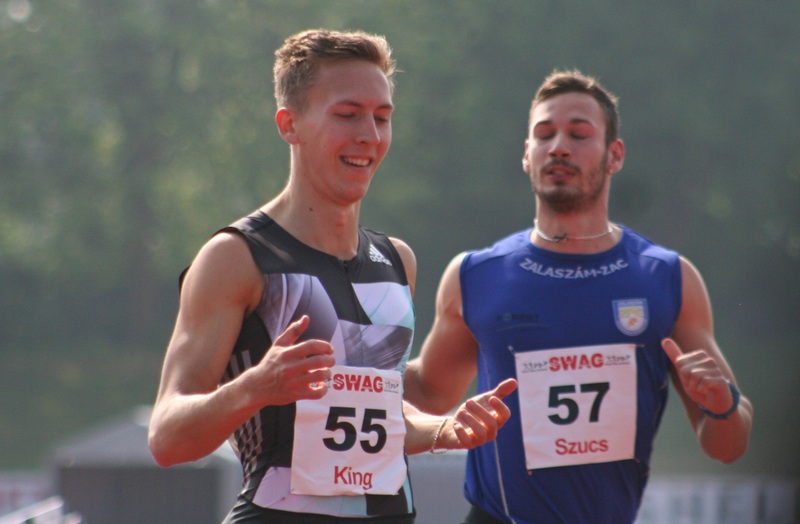 King, who competed at last summer’s European Championships, showed great consistency on the day, clocking 7.74 seconds in both the heats and the final. He was only beaten by his Great Britain team-mates Andrew Pozzi, who won in 7.57 seconds, and David Omoregie, who took silver in 7.63. The trio sit top of the early UK rankings. King’s training colleague and Hungarian international Valdo Szucs was fourth in 7.82 seconds. Simson has joined King in training at Bath under James Hillier and she showed her winter worked had paid off by winning the women’s 60m hurdles final in a new personal best time. Simson clocked 8.66 seconds to take victory ahead of Cardiff youngster Lauren Evans, who clocked 8.89.